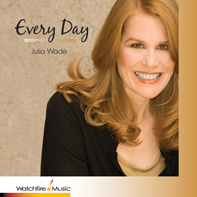 When I had finished my songbook, “Solos For Sunday Morning” I asked Julia if there might be a song or two from the 13 songs that she would like to sing on her new sacred CD she was working on. She listened for a few days to my demos and got back to me saying, “I’d like to do 11 of them.” Every composer’s dream! 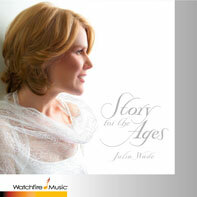 Read the Sunday Morning Digital Liner Notes here. They lift our thoughts above, They whisper God is Love. And so our hearts find peace.